Although the film is set in the 1940s, the character of the Great Detective, Sherlock Holmes, is definitely Victorian. Based, very loosely, on Sir Arthur Conan Doyle’s stories ‘A Scandal in Bohemia’ and ‘The Adventure of Gloria Scott’ Holmes and Watson are hired by Watson’s old friend, Edmond ‘Stinky’ Emery, is the victim of a thwarted robbery at his home. Although his home is filled with valuable, antique, music boxes, the thieves, in question, are more interested in an wooden music box manufactured by prisoners in Dartmoor prison. Emery is later found murdered and Holmes, while working with Scotland Yard, discovers that the music box is one of three boxes . Each box, it seems, plays a different version of the old Australian tune, “The Swagman”. Holmes learns that the different versions are actually a hidden code which reveal the location of 5 pound plates which were stolen from a bank seven years earlier. The rogue who stole them, of course, being the prisoner who made the music boxes. A gang of thieves attempt to stop Holmes from finding the boxes but they are eventually foiled in their endeavors. 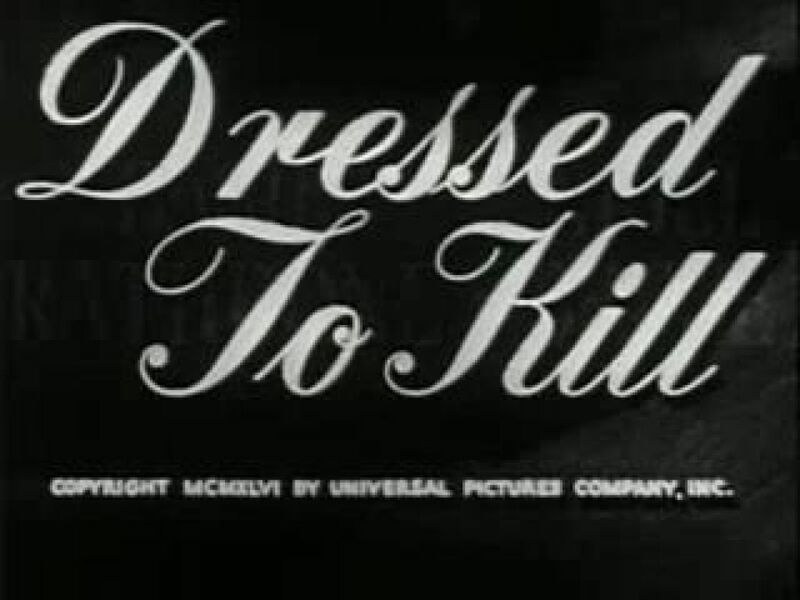 Dressed to Kill is one of my favorite Sherlock Holmes films with Basil Rathbone as the lead and Nigel Bruce is wonderful as Dr. Watson. The plot is quickly paced and for an old 1940s film, as I know many groan at the thought of watching a black & white film, there isn’t a dull moment to be found throughout. 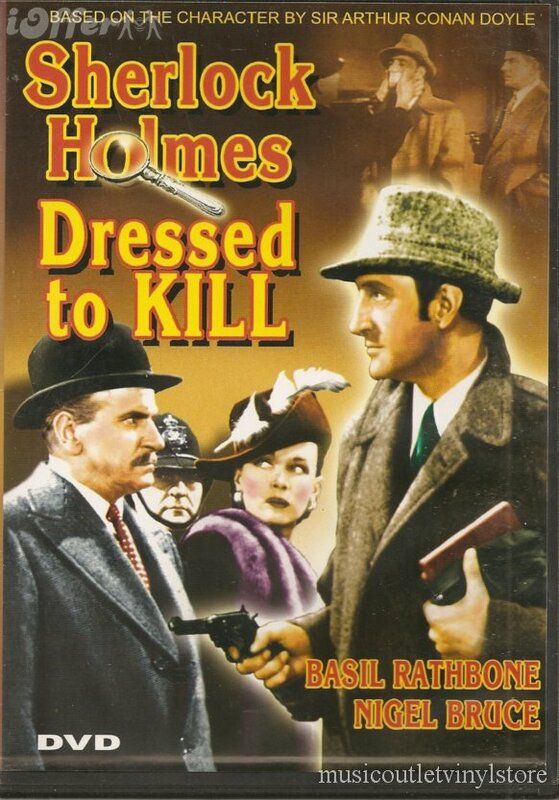 Although I much prefer to see Holmes and Watson in their native Victorian era, the Basil Rathbone-Nigel Bruce series of films are a delight to watch. This entry was posted on January 8, 2012 at 11:56 pm and is filed under Mystery with tags basil rathbone, dressed to kill, sherlock holmes. You can follow any responses to this entry through the RSS 2.0 feed. You can leave a response, or trackback from your own site.